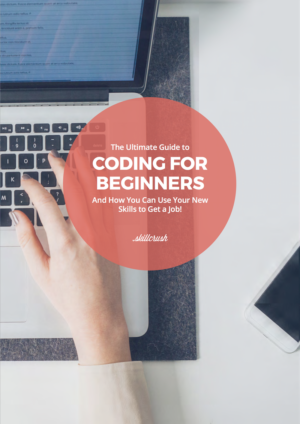 Find out the EXACT skills you need to learn to get hired in this 60+ page FREE ebook! 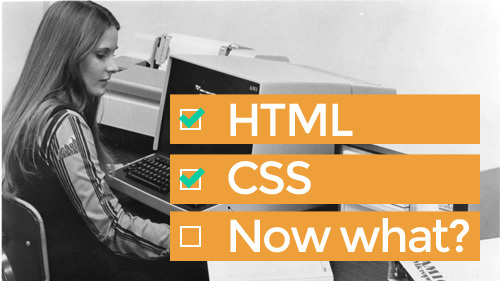 Have you made the jump and learned HTML and CSS? Great! Now what? Check out these 5 recommendations to push you past beginner and into WOW. 1. Practice, practice, practice! And track your progress! 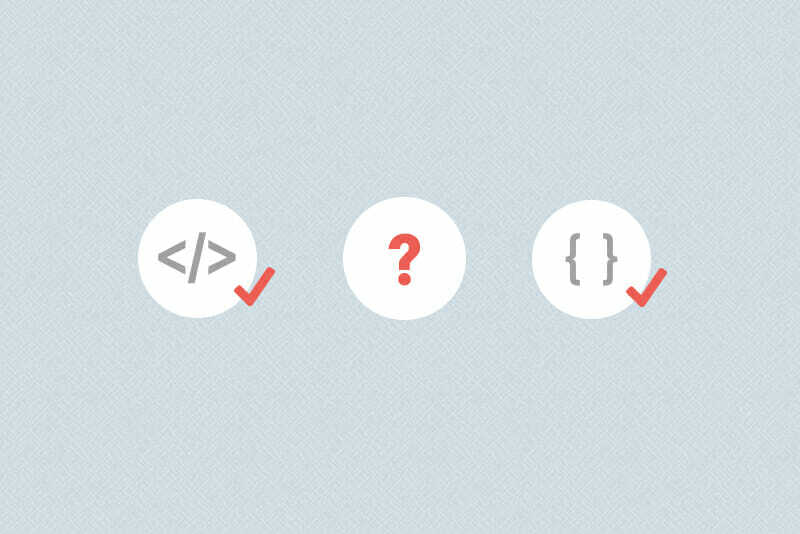 Ever heard of “use it or you’ll lose it?” Well it’s certainly true with HTML and CSS! Once you get the fundamentals down, it’s important to keep practicing. Check out websites like 365psd and try to re-create one of their sample designs in HTML & CSS. 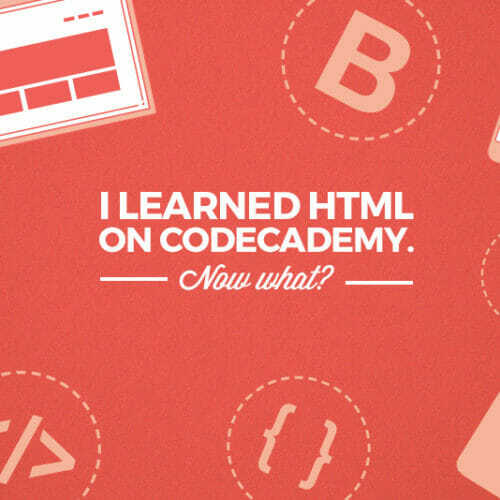 This will not only flex your coding muscles, but help you learn to translate a design from a PSD into code, which is a KEY skill to have as a frontend developer. As you practice, you’ll sharpen your existing skills and learn new ways of doing things. Your workflow will get streamlined over time and your pace will quicken. Think of it like working out. It may seem futile at first but you can’t ignore results over time. Feeling pretty good about your knowledge and speed? How about your portfolio? Make sure to spend time crafting a GORGEOUS portfolio of your work as you practice. Don’t worry if you don’t have a ton to show yet. 3-6 well-chosen pieces with great copy around your process (or better yet, a case-study!) are often enough for recruiters. And you don’t need a client to get those 3-6 pieces! This 2-part post on portfolios will show you how to build a competitive portfolio from the ground up, without any previous clients! Part 1 covers the basics all portfolios should start out with. 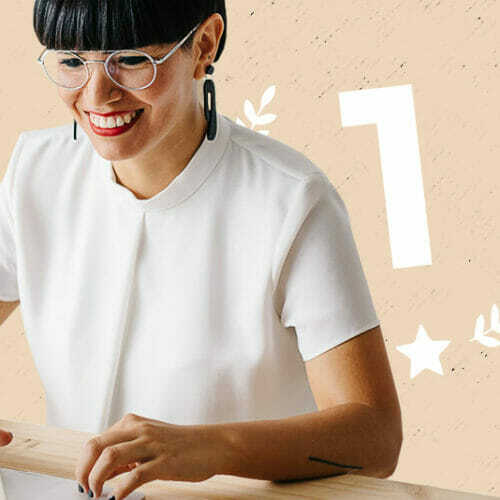 Part 2 is chock-full of projects you should include in your portfolio when you’re new to the biz. So don’t forget the 4 P’s! Practice, Practice, Practice, PORTFOLIO! Steve Jobs famously said “Design is not just what it looks like and feels like. Design is how it works.” Repeat this to yourself 100 times until it sinks in (Hey, no shame, I had to do this myself!). Whether or not you’re a designer, it’s important to understand the principles of good design and UX. A strong understanding across design & UX can take you from building and executing someone else’s vision to playing a big part in creating products yourself. Why wouldn’t you want to be in the driver’s seat? Not only that but your newfound skills will inevitably have you partner with or at least cross paths with a designer during numerous projects in your career. So even if you aren’t the one on the hook for design and UX deliverables, speaking the lingo and understanding these disciplines will make you a better team player and straegist. UX & Design skills are as broadly applicable as learning front-end dev is and prototyping is hands-down one of THE most useful skills to have no matter what your role. 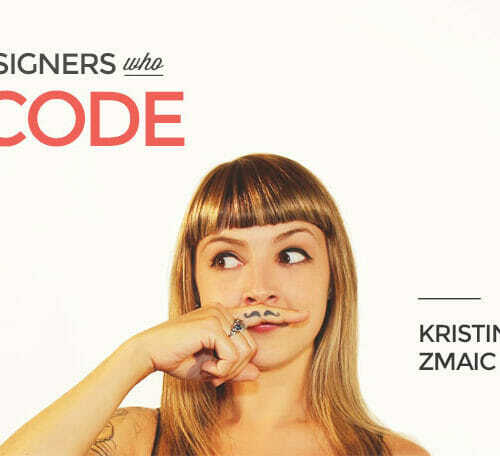 Bootstrapping Design and Hack Design are two great, free intro resources I love. They do a great job of walking beginners through core design concepts, helping you to setup a project workflow and familiarize yourself with the industry lingo. 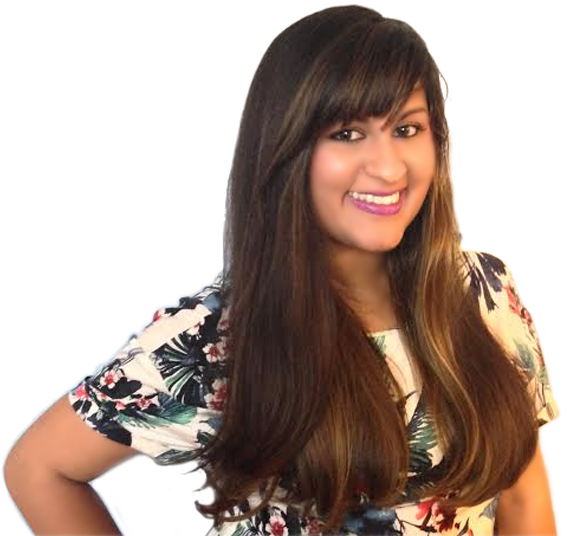 And, not to be a broken record, but our Web Designer Blueprint covers all things web design & UX and teaches you how to strategize, prototype and produce common industry and client deliverables with help from our experienced instructors and industry master class guests! Learn more here. 5. Get away from your computer! There’s a whole world of inspiration out there. Chances are, your community has several groups or meetups dedicated to design and development. Search Meetup.com for tech groups or see if your community has a Girldevelopit chapter. If you’re a Ruby geek, check out Rails Girls. Universities with design and development programs are also great places to look – often they bring in speakers or hold workshops and many of these are open to the public. You’ll not only learn something, but you’ll create a learning community of folks you can keep growing your skills with. And who knows…someday down the line, you could find yourselves working on a great new project together or even…starting your own company. Have questions? Want to learn more? Tweet at us @skillcrush & we’ll respond! Nothing to put in your portfolio? Read this!